Gamers can make use of Shadow's high-tech game streaming network to enjoy PC games at the highest settings without buying or maintaining expensive hardware. The smart money says that high-end video games will be played almost exclusively via streaming sometime in the future. Exactly how soon that future becomes the present remains to be seen, but more than a few tech companies are betting big on cloud-based game delivery, including Sony and Microsoft with their lucrative console business. Shadow, a product from the Blade Group, aims to serve PC gamers by allowing game streaming from high-powered data centers that provide enthusiast-class performance to your devices. The Shacknews video team was on hand for GDC 2019 and got the opportunity to speak with Blade Co-Founder and CEO Asher Kagan about the Shadow service and how it offers high-end PC gaming to virtually any device. Shadow works at a basic level by providing subscribers with access to a virtual PC hosted in one of their data centers. Using Shadows fast gigabit internet connection, the user downloads their digital games to the virtual PC and can then play them over the internet. Currently, Shadow’s hardware infrastructure offers NVIDIA GTX 1080-class graphics performance so that the games can run at high settings and high framerates. The game output is sent to the client device so that it can be enjoyed without the user needing an expensive dedicated gaming PC. Any internet-connected display that makes use of a smart platform such as Windows, Linux, iOS, MacOS, Android, or Android TV can offer a top-tier PC gaming experience. 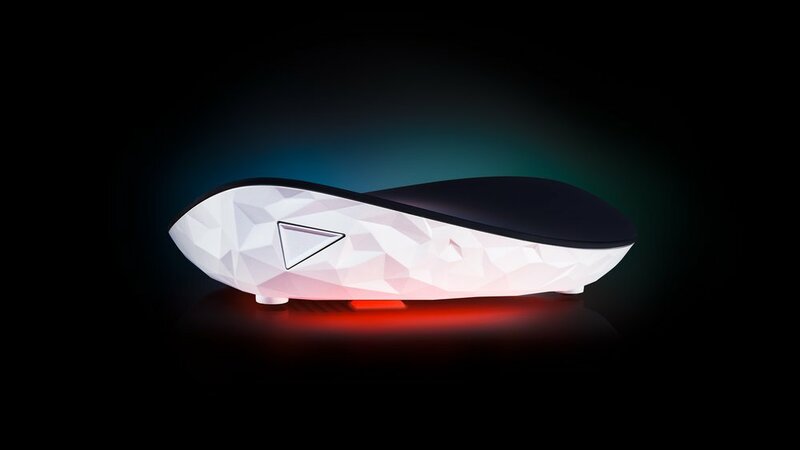 For subscribers without such a device, Shadow offers the Ghost, a dedicated set top box with HDMI output and multiple USB inputs to handle use of the streaming service. During the interview, Kagan explains that subscribers can enjoy the service with a connection as feeble as 5 Mbps, though the company’s website recommends a 15 Mbps connection for optimal results. Kagan also admits that latency is a big issue facing real-time game streaming as their engineers have not yet found a way to move faster than light. Despite this, he says that the company has cut out a large chunk of the latency that comes along with rendering a game on a GPU and sending the result out to a HDMI or DisplayPort interface. Kagan claims that if you connected a display to their servers directly, the resulting game frame on the display would be ahead of what is on the server. He says this technological advancement gives Shadow room to incorporate the overhead latency provided by sending the game output over the internet to the client. These are lofty claims, but the company promises users will be pleased with their streaming games. You can find out more information on Shadow and get subscription details on their official website. Kagan claims that if you connected a display to their servers directly, the resulting game frame on the display would be ahead of what is on the server.